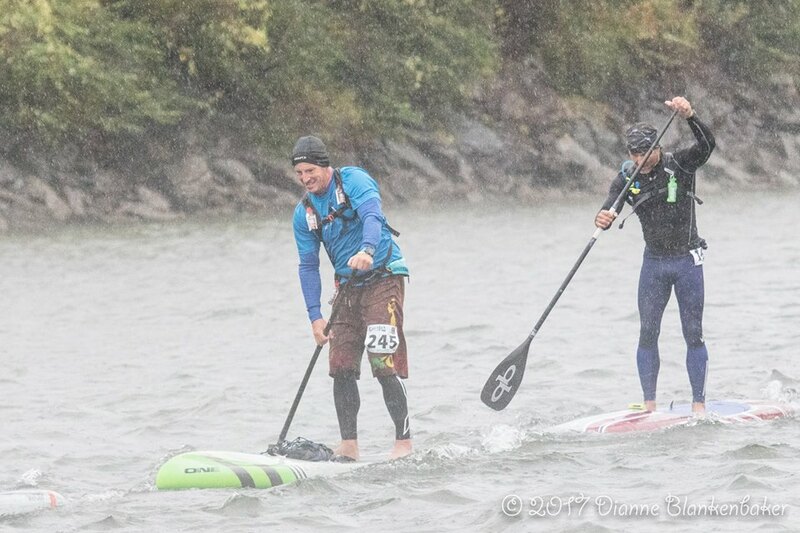 Our good friend Derek Schrotter runs Paddle Sport Performance, one of our leading Canadian retailers. Not only a kick arse member of the QB family – Derek (seemingly like all Canadians) was born paddling. He has competed on an international level in C1 canoe as well as Dragonboat and of course, SUP. At the Chattajack, I was standing with Derek as he talked to Joe Bark about the race and he mentioned he was 5th overall! In most races, 5th is a great result. 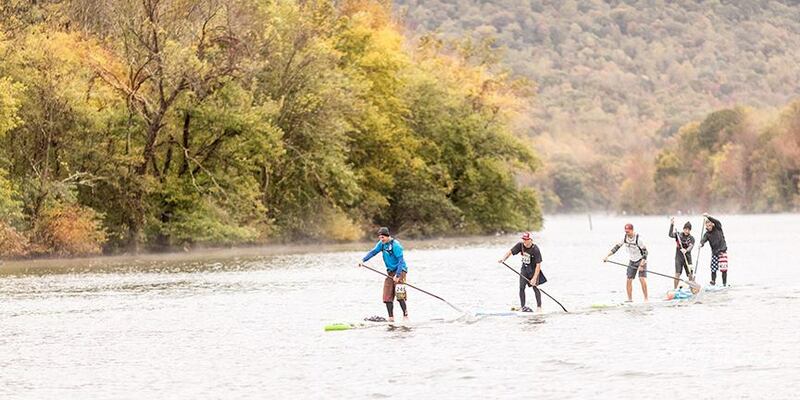 At a race like Chattajack, a 32 mile rainy, windy, cold slog – it’s a major feat. 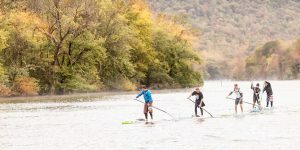 Especially when you consider the event attracts the best of the best in paddling – people like Larry Cain. 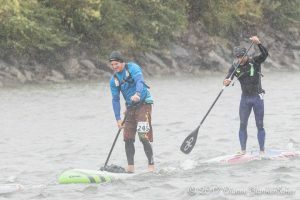 His fast result should not surprise anyone when you consider the company he keeps.. guys like Larry and other paddling luminaries in Canada. 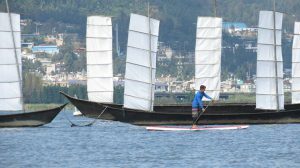 When I got home, I wanted to check in with Derek on his result and to hear more about his recent trip to China at the Dragonboat Worlds. Hi Derek – Congrats on your Chattajack Result… did you expect to do so well? had you been training with cracking the top 5 in mind? 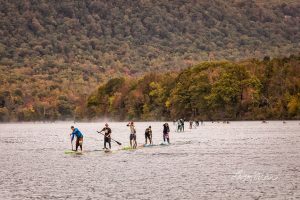 We heard a rumor that Chattajack was not your only stop on your travels this year, that you had just been to China for the Dragonboat Worlds… can you tell us about your experience there? How did Team Canada do? It’s true!! Actually right before leaving for China, Gina and I flew to Calgary, Alberta to try and qualify for the 2018 Vaa Sprint Worlds in Tahiti. We both ended up making the team and I will in fact be racing in the Elite (no age) Division in V1 as well as V6. 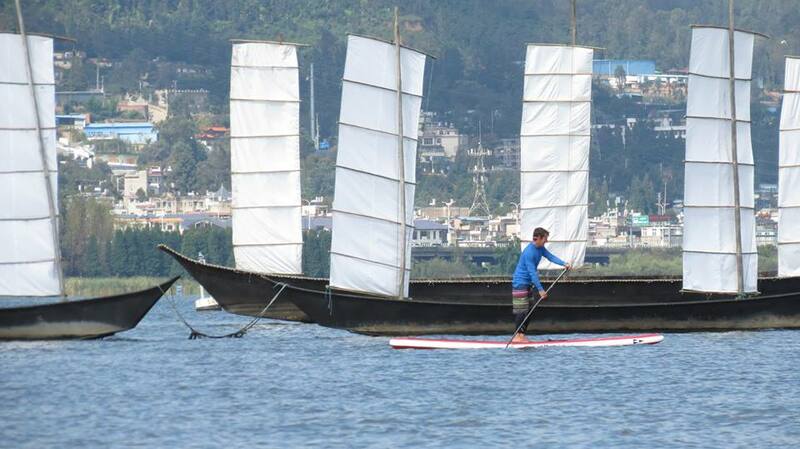 In China, Canada did very well in dragon boat as did our friends on the USA teams. Not many people know, but QB does make a dragon boat paddle? Have you used it and if so, how does it stack up to other Dragon Boat paddles? Quickblade DB paddles were quite visibly in China!!! 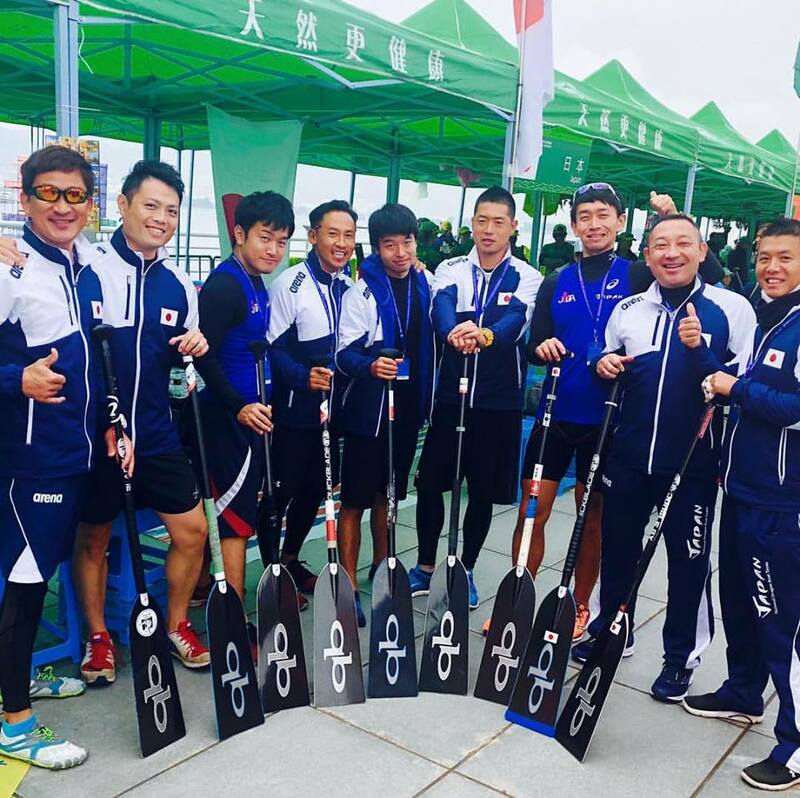 In fact the Japan team was predominately QB paddles!!! Paddlers from both Canada and USA had QB paddles in their boats as well. When someone tries a QB DB paddle the first thing they say is how much they LOVE the handle and the feel in the water. It was neat using a QB OC paddle in Calgary, seeing QB dragon boat paddles in China and seeing so many QB sup paddles at Chattajack! 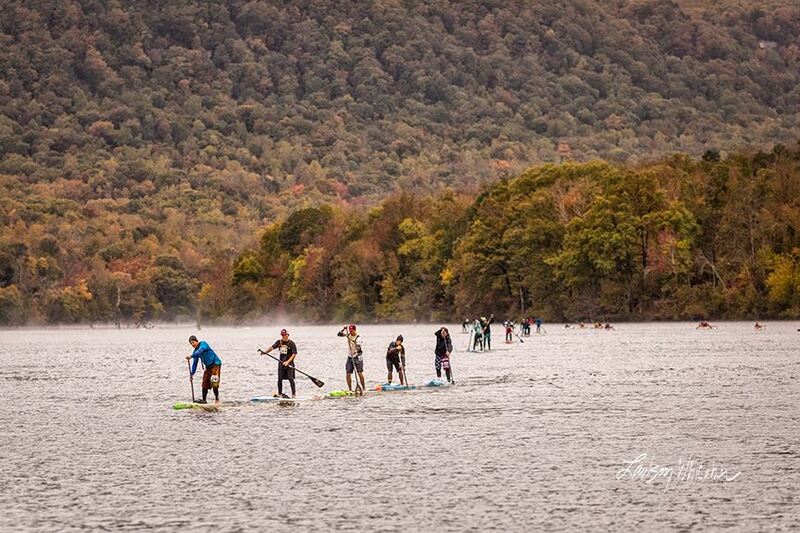 After the conditions at the 2016 Chattajack we thought things could never get worse…..mother nature had another plan for us in 2017!!! I have heard that as many as 100 people pulled out due to conditions. Even as a Canadian conditions were cold, although I still went bare foot for the 5 hour race since I had not worn boots for about 6 months and hoped I could just block out the cold. When we finished temperatures were about 6 C (mid 40s F) and there was definitely a little of shivering and chattering teeth!!!! What QB SUP paddle do you use? Why do you like that particular one? The Trifecta to me is really a “change” in how the blade feels during the early load phase of the stroke. I feel that it locks in with out too much “over load” or over stress on my joints which allows me to last longer in training and racing. Where can people find out more about you — Web URL, instagram, etc..